Greater Elgin Family Care Center received New Access Point funding to create Creekside Health Center, focusing on residents of Prospect Heights and Wheeling, IL. GEFCC expended over $1.5M to renovate the 2-story facility, creating a beautiful, welcoming and operationally efficient FQHC setting. A centralized provider area, connected to reception/checkout and CLIA-waived laboratory, is surrounded by 9 examination rooms. The lower level contains multiple offices, conference rooms and a full-service Patient Service Center operated by Quest Diagnostics via bi-directional electronic interface. 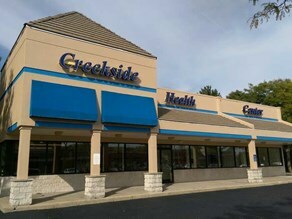 Opened in August 2015, Creekside Health Center focuses on providing quality, affordable primary care services to low income, publicly insured, under-insured and un-insured area residents. As with all GEFCC Health Centers, Creekside is Accredited by The Joint Commission, PCMH Certified and uses NextGen as our EMR.